ERSU of Palermo provides services for foreign students who are going to enroll or are already enrolled at the University of Palermo and at the Higher Institutes for Arts and Music (Academy of Fine Art of Palermo,LUMSA of Palermo, Academy “Kandinskij” of Trapani, Academy Abadir of S. Martino delle Scale, Academy “Michelangelo” of Agrigento, Conservatory “Bellini” of Palermo, Conservatory “Scontrino” of Trapani, Higher Institute for Music “Toscanini” of Ribera). 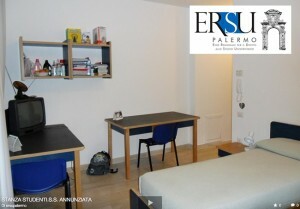 The most benefits and services (scholarships and accommodation service) are granted by competition; the call is usually published every year in July on the website www.ersupalermo.gov.it and expires in early September. The scholarship consists of a sum of money allotted by competion based on certain income limits as well as on merit requirements (number of credits), as specified in the announcement of competition. The scholarship is awarded to students enrolled at the University and Institutions mentioned above, who apply having the necessary requirements set forth in the announcement of competition. The scholarships are allocated up to the availability of the budget. free or reduced rates provided for accommodation and restaurant service. The scholarship amount, both monetary and in services, varies according to the student family unit’s economic condition (income/assets) and to the student’s place of residence. In order to take part in the competition, foreign students are required to submit the so-called “ISEEU/ISPEU parificato”. This certification is issued by any CAF (Centro Assistenza Fiscale) providing the necessary documentation translated into Italian and legalized, if required. STUDENT CITIZENS OF THE EUROPEAN UNION must produce the same documentation relative to the economic conditions as those required to Italian students translated into Italian. STUDENT ORIGINATING FROM NON-EU COUNTRIES must submit a copy of the residence permit (if expired, copy of the same and of a receipt attesting to the request for renewal) and.specific documents issued by the authorities of the countries of origin, certifying the economic and assets situation of the immediate family, translated into Italian and legalized, if required. Foreign students with immediate family resident abroad must submit declarations or certificates translated into Italian and legalized, if required, issued by the competent authorities in the countries of origin reporting: the composition of the immediate family, the incomes received by the immediate family and the assets possessed by the immediate family. – STUDENTS COMING FROM PARTICULARLY POOR COUNTRIES (Afghanistan, Angola, Bangladesh, Benin, Bhutan, Burkina-Faso, Burundi, Cambodia, Central African Repubblic, Chad, Comoros, Democratic Republic of the Congo, Djibouti, Equatorial Guinea, Eritrea, Ethiopia, Gambia, Guinea, Guinea-Bissau, Haiti, Kenya, Kiribati, Democratic People’s Republic of Korea-Dem-Rep, Lao People’s Democratic Republic, Lesotho, Liberia, Madagascar, Malawi, Mali, Mauritania, Mozambique, Myanmar, Nepal, Niger, Rwanda, Sao-Tome & Principe, Senegal, Sierra-Leone, Solomon-Islands, Somalia, South Sudan, Sudan, Tanzania, Tajikistan, Timor-Leste, Togo, Tuvalu, Uganda, Vanuatu, Yemen, Zambia, Zimbabwe ) must submit, in addition to a copy of the residence permit, a certification of the Italian diplomatic mission in the country of origin attesting that the student does not belong to a family known to have a high income and be of high social level. – STATELESS STUDENTS OR POLITICAL REFUGEES STUDENTS must attach to the application form for benefits the official statement regarding the status of stateless persons or political refugees issued by the Italian Ministry of the Interior. These kind of students are not required to submit the “ISEEU/ISPEU parificato” unless they possess any income and assets in Italy. In close proximity of the competition deadline, if foreign students have not yet got the “ISEEU/ISPEU parificato”, it will be automatically calculated by ERSU on the basis of the required documentation. ERSU reserves some scholarships for the non-Eu foreign students coming from poor countries, for political refugees having the right to international protection and for the foreign students children of Sicilian immigrants living abroad. ERSU of Palermo offers the possibility to “non-resident” students enrolled at the University of Pa lermo and at the Higher Institutes for Arts and Music (Academy of Fine Art of Palermo, LUMSA of Palermo, Academy “Kandinskij” of Trapani, Academy Abadir of S. Martino delle Scale, Academy “Michelangelo” of Agrigento, Conservatory “Bellini” of Palermo, Conservatory “Scontrino” of Trapani, Higher Institute for Music “Toscanini” of Ribera) to be accommodated in one of the Halls of Residence. students who reside in the cities of Altavilla, Balestrate,Belmonte Mezzagno, Bolognetta, Borgetto, Carini, Cefalu’, Cinisi, Giardinello, Marineo, Misilmeri, Montelepre, Partinico, Piana degli Albanesi, Pioppo, San Cipirello, Santa Cristina Gela, San Giuseppe Jato, San Nicola, Termini Imerese,Terrasini, Torretta, Trabia, Trappeto,Villafrati. The requirements for participating in the competition are the same as for the scholarships. The lodging option must be applied at the same time as for the scholarship. Accommodation service is assigned on the basis of a ranking list. The canteen service is open to all University students. 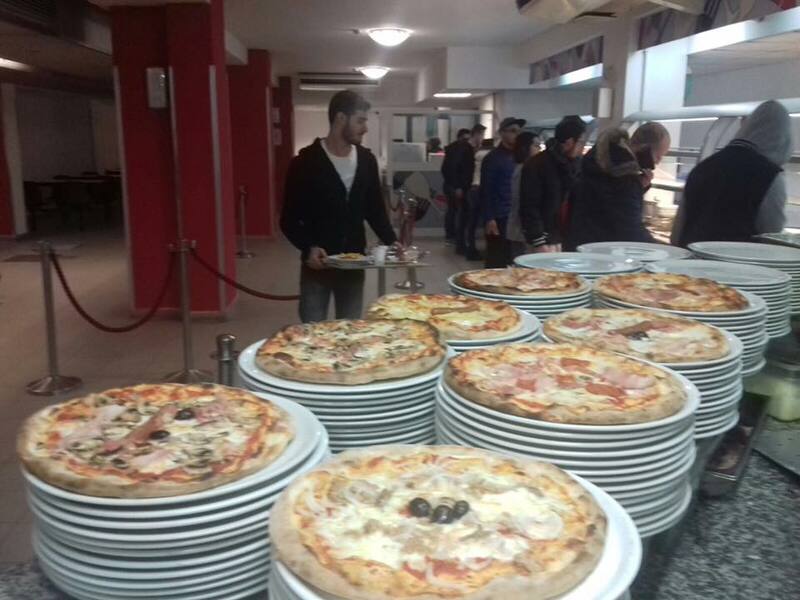 The application for a scholarship also includes ERSU restaurant service.Students awarded with a scholarship benefit the catering service for free or by reduced fees, according to the announcement of competition. Students enrolled at any University decentralized branch where the canteen service is not active, will receive an additional contribution in amount of their scholarship. Students not taking part in the competition, must apply for catering service filling the proper Application Form. The cost of a meal is different according to the economic situation of the student. ERSU pays special attention to the quality and the variety of the menu; canteens also will provide on request coeliac students with gluten-free meals. For access to canteens, students enrolled at the University of Palermo, from June 2017 onwards, are required to use the Smart Card Unipa released by University. Monday, Wednesday from 9.00 to 13.00. Wednesday from 15.30 to 17.30.